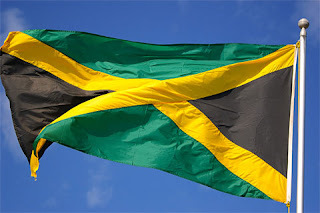 The Jamaican flag was adopted on August 6, 1962, the day when they gained their independence from Britain. The nation had held a countrywide competition The first flag was a horizontal tricolour, with colours of black, green, and gold. However, this design was not carried forward as it was seen as too similar to the Tanganyikan flag. So, a new flag was designed. Still using the pan-African colours of green, black and gold, this time the design was a saltire flag. Similar to Scotland. This time, the saltire is yellow, with the top and bottom cantons in black, and the left and right cantons in green. 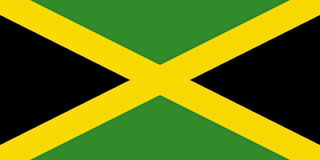 The colours on the flag are taken to mean strength (black), the sun (yellow), and the lush lands (green).